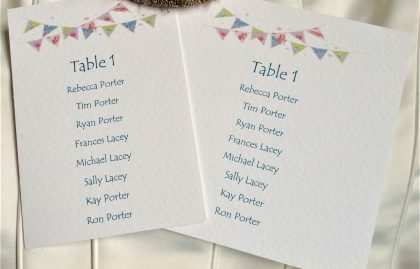 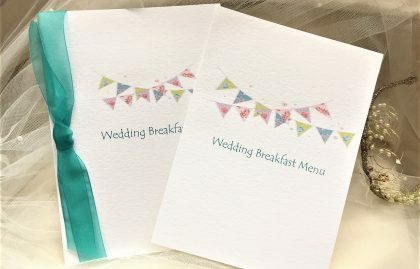 Our Summer Bunting Wedding Stationery meets the trend for country wedding, village fete or ‘tea party’ wedding themes which continue to be hugely popular. 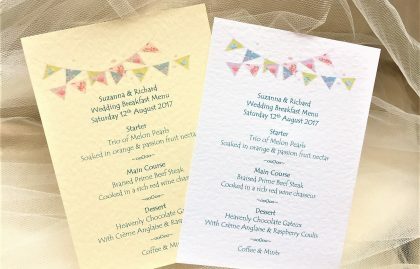 Rustic country gardens, barns and farm venues, hay bales, trestle tables, coconut shies, tombolas, jam-jars, cake-making competitions and cupcakes. 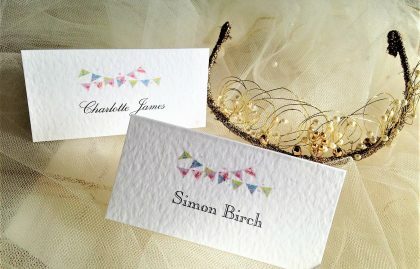 Dream of long summer days with a hog roast in the evening or boho festival-chic styling for a chilled summer vibe. 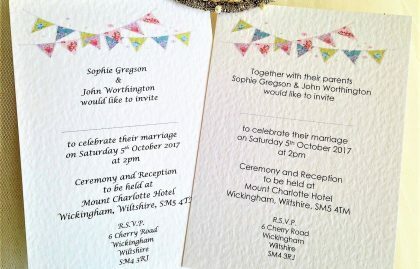 So what better way to announce your village fete theme than to bring out the flags with some great summer bunting wedding invitations and matching summer bunting wedding stationery and start imagining those dreamy summer days…. 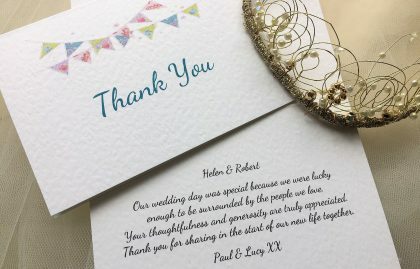 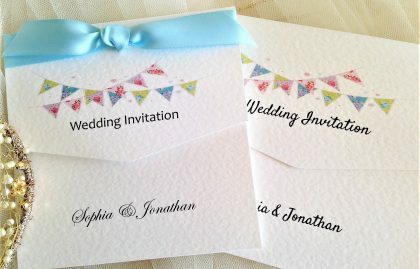 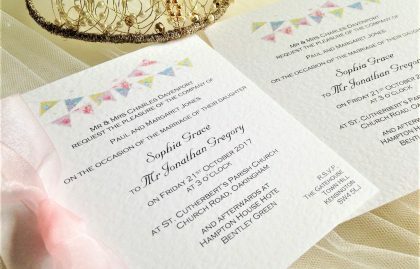 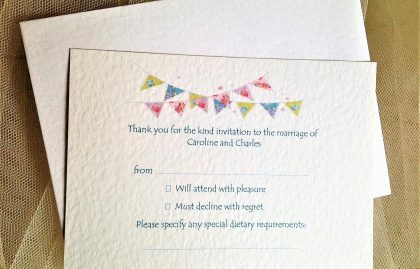 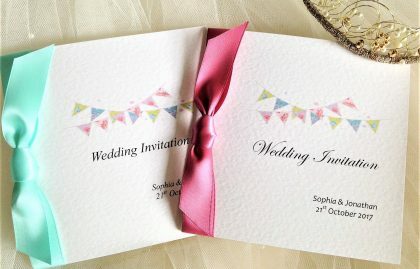 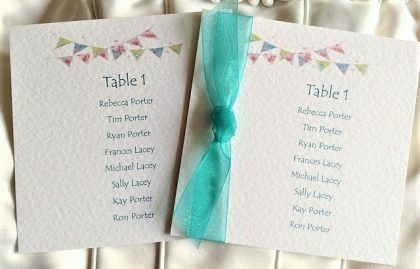 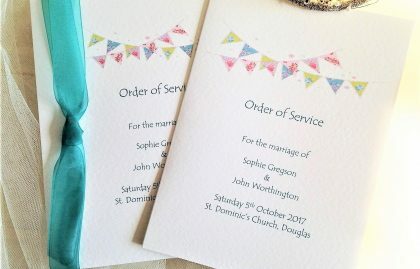 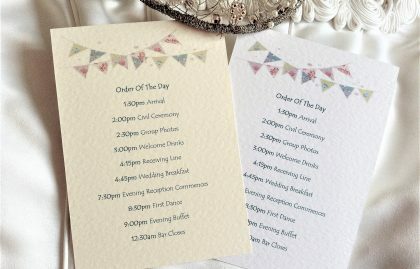 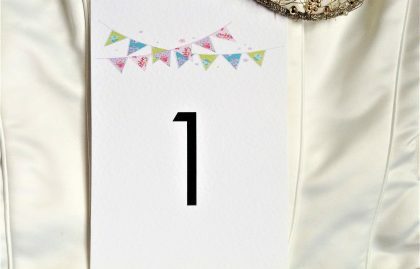 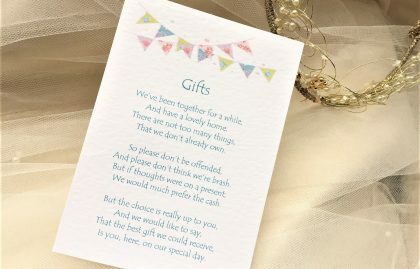 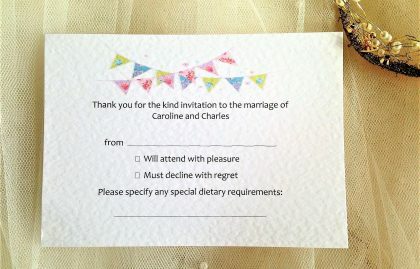 Browse our full range of wedding stationery items in the Summer Bunting range which include everything from save the date cards, wedding invitations, evening invitations, RSVP cards, guest information cards, place cards, table plan cards, menus, order of day cards, order of service books and thank you cards. 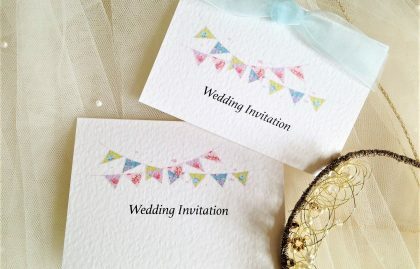 Our Summer Bunting Wedding Stationery is available on white or ivory hammered card.